It is always tough to follow a strict routine, but it is the only way to get success. Many breathed a sigh of relief after the CBSE Class 12 board results were announced. But one student had more reasons to celebrate than the others. 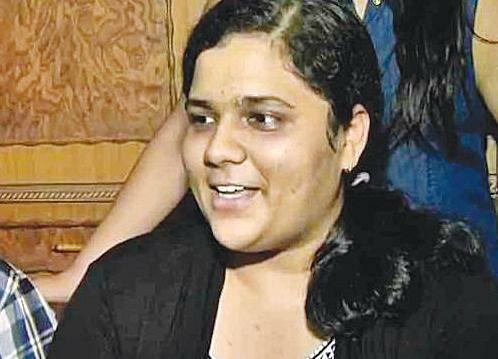 Sukriti Gupta, a student from Delhi, topped the exams with 99.4 percent. Sukriti was a student of science stream from Montfort School, Ashok Vihar, New Delhi. She scored 497 marks out of 500 with 99 in English, 99 in Mathematics, 100 in Physics, 100 Chemistry and 99 in Computer Science. Sukriti said that she was sure to get full marks in all subject, because the questions were easy to her. She had taken due time to revise and forget about all entertainment mediums for at least six months. "It is difficult, but at the end, if you have worked hard,you will succeed," said Sukriti, who has now turned into an inspiration for many. However, Sukriti's success wouldn't have been possible without the rigid routine she followed. Sukriti said that she never missed a single class and also that she is very punctual as a student. She said, "I have been skipping holidays for last two year, just to prepare for the boards." She said that nothing was planned, one cannot decide beforehand to top the CBSE boards. She told, "I was not even waiting for the results, in fact, I was busy thinking what to do next." On the question of what next, Sukriti replied, "I want to become an engineer and taking several entrance examinations right now, I can't say much about it. But, yes I want to join a good institution." This year, more than ten lakh candidates were registered for the Class 12 examination. Every year, the final examinations for Class 10 and Class 12 are conducted by the CBSE board in the month of March. She suggested to the students, "Follow NCERT books strictly, one need not fall into 14 hours a day study trap. However, my average study time daily was around 8-10 hours, also I didn't expect any last minute miracles". Maintaing a strict study routine is difficult, but in the end, if you have worked hard, you will succeed said Sukriti to Employment News. Following Sukriti, at second position is Palak Goel from Tagore Public School in Kurukshetra, Haryana who scored 496. The third position has been shared by Somy Uppal from St Theresa's Convent School in Karnal, Haryana and Ajish Sekar from PSBB Senior Secondary School, Chennai. They both have scored 495 marks.